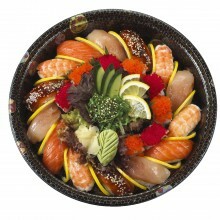 Sushi has over a thousand years of history and tradition. 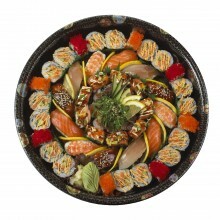 Cooked rice is seasoned with rice vinegar and shaped into bite-sized pieces, then topped with raw or cooked fish (nigiri), or formed into a roll with raw or cooked fish, seafood or vegetables and wrapped in seaweed (maki). 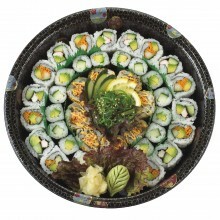 Many of our Metro Stores have full-service Sushi Chefs! 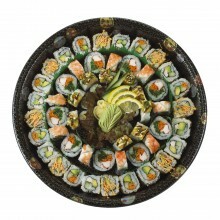 Sushi Platters are available at selected Metro Stores but are not available for Online Ordering. To find out which platters are available at your local store, please visit or call the store directly or contact Customer Care toll free at 1-877-763-7374, Monday to Friday from 8:30 a.m. to 4:30 p.m.